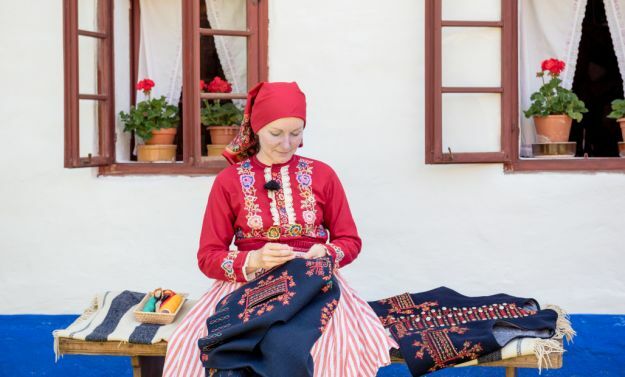 The bright colours of national costumes and horse decorations, singing, music, traditional food and wonderful wine ­– all of this in spring in full bloom. 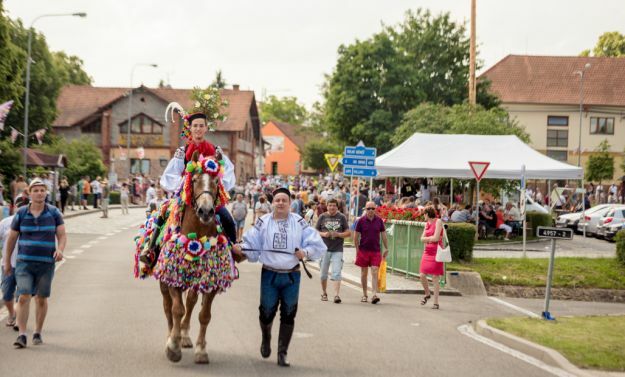 The Ride of the Kings in Vlčnov is a magnificent parade of genuine Moravian Slovakia tradition. Come and see it, hear it, taste it! The Ride of the Kings has been inherent in folklore since time immemorial. But the Ride in Vlčnov is extraordinary and the most famous one, and has existed for hundreds of years. The festival attracts thousands of visitors every year, and many of them come again regularly. 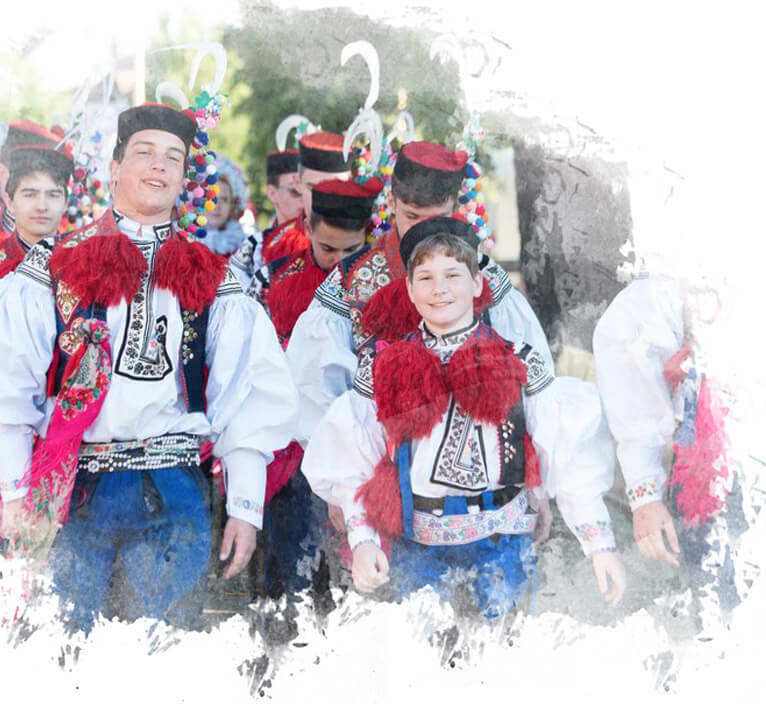 The uniqueness of the Ride of the Kings in Vlčnov consists in the fact that the boys ride in the King’s entourage only once in their lives. In 2011, the Ride of the Kings was added to the UNESCO representative list of intangible cultural heritage of humanity. What does all the show actually mean? The tradition is related to initiation. The riders in the King’s entourage are young, 18-year-old men who in the past were to be recruited. They have to demonstrate that they are able to ride a horse and are no longer little boys. The “recruits” collect presents for the King – a little boy from a local family – from spectators. 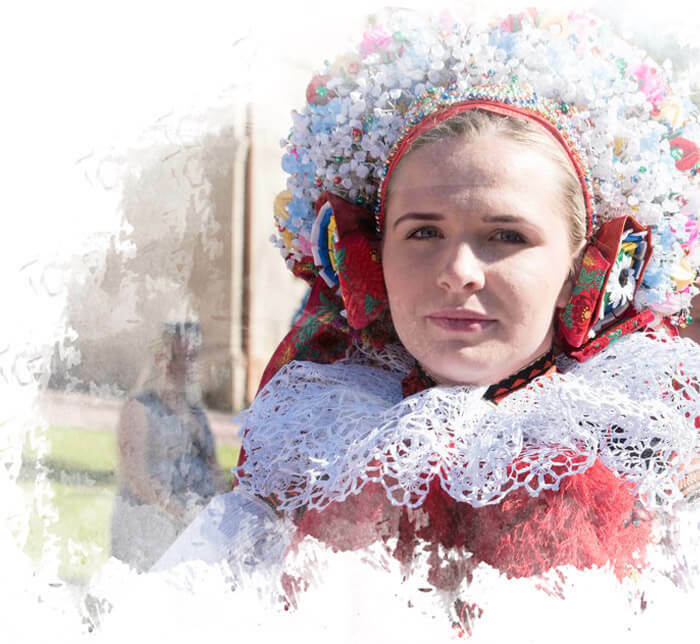 The event is accompanied by folk music, singing, dancing and of course excellent food and wine. And good home-made plum brandy is indispensable, too. The bright and merry event has attracted many artists. At the end of the 19th century, the celebration was immortalized by Joža Uprka in his most famous impressionistic painting, The Ride of the Kings. The region was also visited by Rodin, the French sculptor, and Alfons Mucha, the Czech painter. The serial Slovácko sa súdí (Moravian Slovakia on Trial) was partially filmed on locations in Vlčnov in the 1970s. To better picture the festival, have a look at some photos of various parts of the programme. Are you planning to visit the Ride of the Kings? Download the programme and all important information. We will publish the detailed program in February. Sponsor an event that is seen by thousands of visitors. Get a better feel of the Ride of the Kings with articles published in the media.